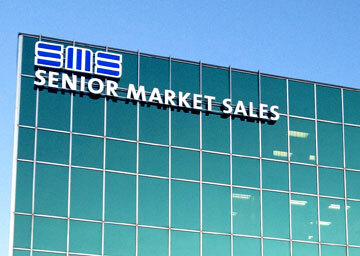 Senior Market Sales, Inc. is the marketing organization for tomorrow’s agent. We know agents face many challenges in today’s market. Our software and tools are designed to help you manage and simplify your practice, save time, eliminate mistakes and make your business stand out among the crowd. Led by our proprietary Lead Advantage® sales management tool, SMS provides a number of tools to help you manage and simplify your practice, save time and eliminate mistakes. With our forms database, you can find any form, marketing brochure or other document you need from a variety of carriers to help you market, sell and process faster. Stay on top of the ever-evolving regulatory environment and avoiding the severe consequences of a data breach with these helpful tips and resources about cybersecurity. Login to SMS and download the Now York Agent Guide to Cybersecurity here. With SMS’ new CMS-approved eSignature Scope of Appointment process for agents who use Lead Advantage, you can get a signed SOA form in two to three minutes. Lead Advantage® is our exclusive all-in-one sales management tool. Receive and manage leads, run quotes, submit online enrollments and access multiple carrier portals all in one place. Lead Advantage Pro® is our exclusive all-in-one sales management tool. Receive and manage leads, run quotes, submit online enrollments and access multiple carrier portals all in one place. Save time and eliminate errors with this online solution that allows you to manage all your contracts in one place. Protect yourself and your clients with HIPAA-compliant secure email solutions. Get more information about protecting yourself and your clients with secure email solutions. SMS provides quoting and illustration tools to help you give exact quotes to your clients. For more complicated cases, we offer help developing illustrations. The all-in-one tool you've wanted is here. See how it will make your life easier and your client plans better. Get instant quotes for multiple plans from multiple carriers. Run Medicare Supplement quotes on your mobile phone via text and via a mobile website. Enter your client's prescription drugs into this tool to get the most accurate out-of-pocket cost estimate for each MA-PD or Part D plan. Start the Social Security conversation anywhere. The mobile Social Security calculator lets you show anyone in seconds what's at stake when electing Social Security. This calculator takes complex forecasting scenarios and delivers simple, easy-to-digest examples to help clients understand their retirement income planning options. Search for up-to-date rates and fees on more than one thousand annuities so you can compare and find the best products to meet your clients' needs. With the new Provider Look-up and Network Search ( PLANS ) tool, you can locate healthcare providers by zip code radius and/or provider type. Get life insurance quotes through the industry-standard iPipeline quoting tools. The industry standard tool for quoting long-term care insurance. Total Social Security provides 100% of what you need to build Social Security planning into your practice, including the industry's leading software. Breakthrough technology that automatically loads your clients' drug lists for them. SMS is a leader in mobile technology designed to help you get through appointments and enrollments quickly and error-free. A CMS-compliant online enrollment process that lets you sell Medicare Advantage and PDP over the phone and Internet. Facilitate paperless Medicare Supplement, Medicare Advantage and PDP enrollments with customized PDF forms emailed to consumers. Reduce incompletes and errors, increase your sales territory without increasing your gas bill and eliminate the cost of mailing and ordering supplies. Quote and submit business on the go with customized apps from multiple carriers. Clients without email or who are more comfortable on the phone can sign their applications with their voice. With SMS e-Ticket you can submit term life apps online in less than 10 minutes. SMS offers marketing support to make your business stand out among the crowd. We also offer product-specific marketing programs. Medicare Insurance Direct lets clients quote and enroll themselves in a plan online, and you get credit for the sale. Social Security is complex. Get 100% of what you need to build Social Security planning into your practice, including the industry's leading software, marketing resources, training and live support. We’ll help you set up your own website with built-in online quoting and preapproved content.